Chris MacDonald is a retired Halifax County Sheriff's Officer and for the past 20 years has operated Chris MacDonald Process Service which specializes in the service of court documents and bailiff services throughout Nova Scotia. 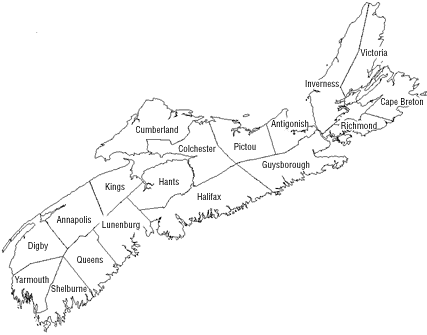 Rates are reasonable and there is no charge for travel within: Halifax, Dartmouth, Bedford, and Lower Sackville. We are licensed and bonded. If you have any questions, please contact us or go to our frequently asked questions page. Our clients include: individuals, companies, law firms, as well as various federal, provincial and municipal government agencies. For international clients, we expeditiously effect service as per the Hague Convention Rules - Convention of 15 November 1965 on the Service Abroad of Judicial and Extrajudicial Documents in Civil or Commercial Matters. South Shore Private Investigations Ltd.
207 - 100 High St.
A member of the Maritime Provinces Association of Process Servers (MPAPS). Saint Ivo of Kermartin, pray for us. Copyright © 2009 Chris MacDonald Process Service. All Rights Reserved.